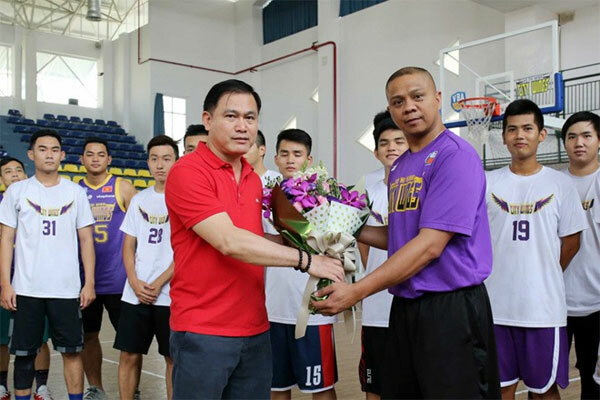 VietNamNet Bridge – HCM City Wings basketball club has signed a contract with coach Ricky Magallanes to prepare for the coming season. Magallanes is a familiar name in Viet Nam as he worked in the country from 2005 to 2009 to help develop the sport following an agreement between of two basketball federations of the Phillippines and Viet Nam. He then returned and worked for the HCM City Basketball Federation in 2012 and 2013. During his time, Magallanes, 44, introduced players such as Trieu Han Minh, Nguyen Huynh Hai and Ngo Tuan Trung, who are now key members of their clubs. HCM City Wings was established in 2016 and finished second at the national first professional tournament of Viet Nam Basketball Association League last November. The new season schedule has not been released.